Earlier this week, folks all over the world poured themselves drinks and sat out on their porches and balconies to watch the blood moon eclipse. Pictures have been flooding the internet and social media websites from the UK, western Africa, South America, and the U.S. It was stunning! At least, the pictures are stunning, we Houston folks couldn’t see it because of cloud cover. It made me think of another incredible moon- the one that shines over an evening on the grounds at the Texas Renaissance Festival. 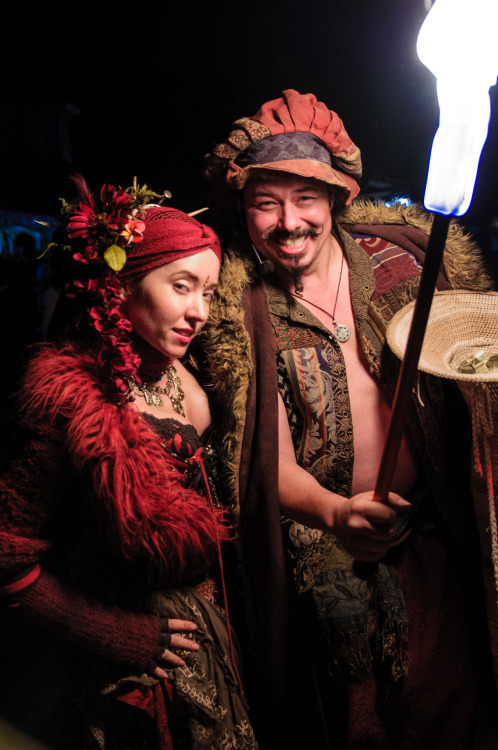 If you have not enjoyed the faire in the evenings, you’re really missing out. 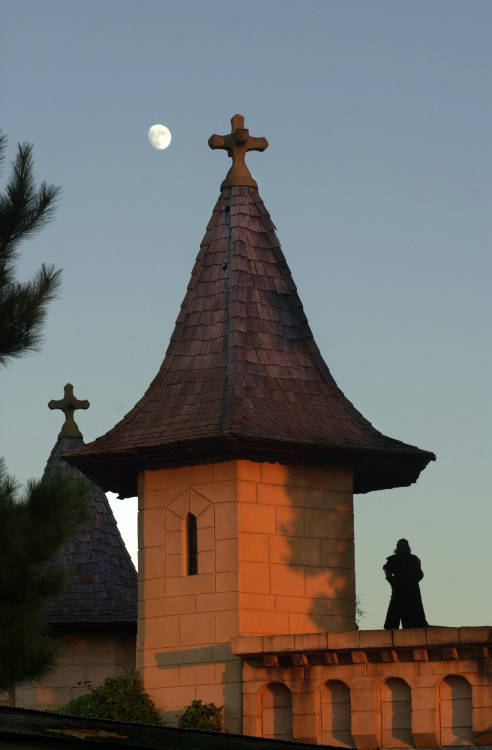 As the moon begins to rise, it peeks over the turret at the front gate, or shines over the Joust Arena. The air cools just a bit, the light softens, and the fun really gets cranking. When I first started working for TRF in 2000, we ran the fireworks right as the sun went down, and the park closed immediately thereafter. With the advent of our new hours, the park often stays open for as long as two hours after sunset. The advent of lit shops and shows has given us a whole new aspect of TRF to love! 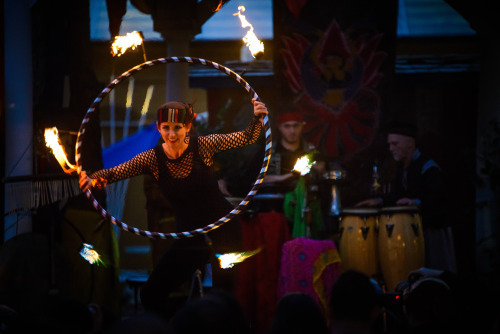 Gypsy Dance Theatre does a fire show at 5:00 at the Greek Agora, and fire is also a feature at the Royal Fireworks. Shopping at night is my favorite time, the shops are lit up and the crowds are a bit thinner. I love this photo of the Music of the Spheres on Mockingbird Lane. Moonlight mongled with the sound of wind chimes is magical! 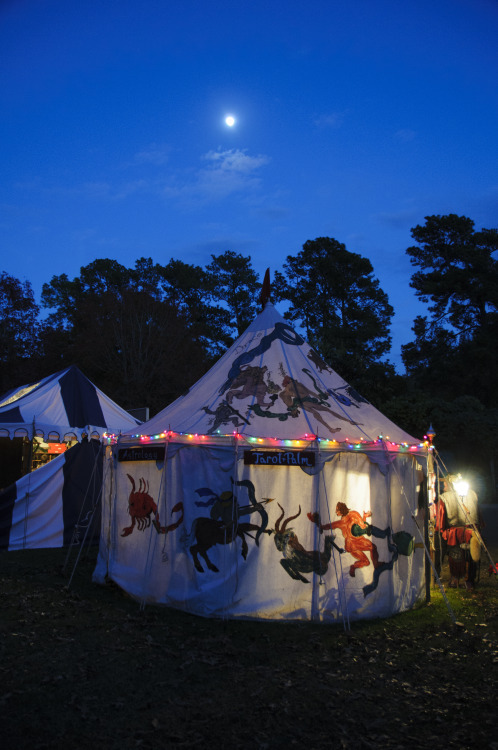 A lovely moon and a nearly cloudless sky preside over shadowy tents. 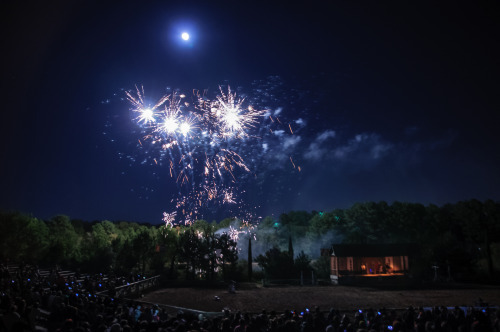 At the day’s grand finale, the Royal Fireworks, the moon glows over spectacular fireworks, all accompanied by the bagpipes and drums of Tartanic. 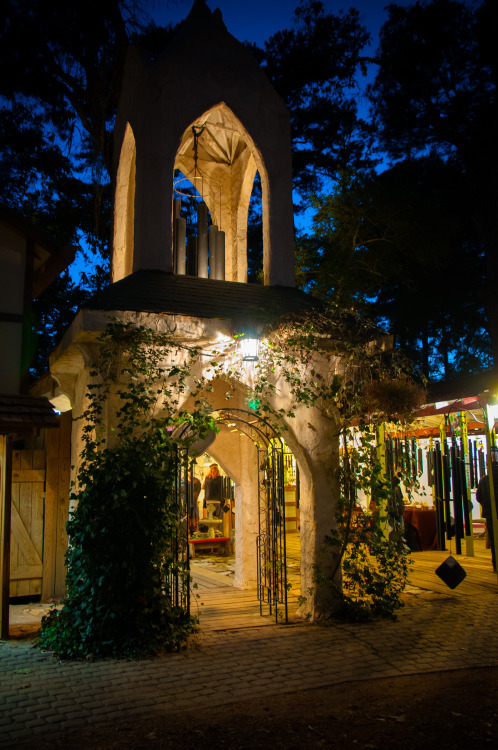 It’s the end of another glorious day at the Texas Renaissance Festival, time for the night to take over.